The FA Cup semi-finals are played to determine which teams will contest the FA Cup Final. They are the penultimate phase of the FA Cup, the oldest football tournament in the world. The FA Cup Final, commonly referred to in England as just the Cup Final, is the last match in the Football Association Challenge Cup. It is one of the most attended domestic football events in the world, with an official attendance of 89,472 at the 2017 final. The match is the culmination of a knockout competition among clubs belonging to The Football Association in England, although Scottish and Irish teams competed in the early years and Welsh teams regularly compete, with Cardiff City winning the Cup in 1927 and reaching the final in 1925 and 2008. Association football, more commonly known as football or soccer, is a team sport played with a spherical ball between two teams of eleven players. It is played by 250 million players in over 200 countries and dependencies, making it the world's most popular sport. The game is played on a rectangular field called a pitch with a goal at each end. The object of the game is to score by moving the ball beyond the goal line into the opposing goal. Since 2008, the new Wembley Stadium has been the home of the FA Cup semi-final. The semi-finals have always been contested at neutral venues. 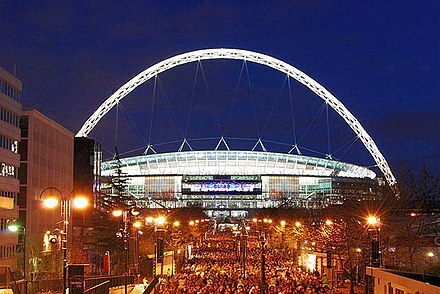 Since 2008, all semi-finals have been held at Wembley. In the past any suitably large ground which was not the home ground of a team in that semi-final was used. Villa Park in Birmingham, Old Trafford in Manchester, and Hillsborough in Sheffield were common hosts. The original Wembley Stadium was a football stadium in Wembley Park, London, which stood on the same site now occupied by its successor, the new Wembley Stadium. The demolition in 2003 of its famous Twin Towers upset many people worldwide. Debris from the stadium was used to make the Northala Fields in Northolt, London. Villa Park is a football stadium in Aston, Birmingham, England, with a seating capacity of 42,682. It has been the home of Aston Villa Football Club since 1897. The ground is less than a mile from both Witton and Aston railway stations and has hosted sixteen England internationals at senior level, the first in 1899 and the most recent in 2005. Villa Park has hosted 55 FA Cup semi-finals, more than any other stadium. Old Trafford is a football stadium in Old Trafford, Greater Manchester, England, and the home of Manchester United. With a capacity of 74,994, it is the largest club football stadium in the United Kingdom, and the eleventh-largest in Europe. It is about 0.5 miles (800 m) from Old Trafford Cricket Ground and the adjacent tram stop. Nottingham Forest Football Club, often referred to as simply Forest, is a professional football club based in West Bridgford, Nottinghamshire, England. Forest were founded in 1865 and have played home matches at the City Ground since 1898. They compete in the Championship, the second tier of the English football league system. The Hillsborough disaster was a fatal human crush during an FA Cup semi-final football match between Liverpool and Nottingham Forest at Hillsborough Stadium in Sheffield, England, on 15 April 1989. With 96 fatalities and 766 injuries, it remains the worst disaster in British sporting history. The crush occurred in the two standing-only central pens in the Leppings Lane stand, allocated to Liverpool supporters. Shortly before kick-off, in an attempt to ease overcrowding outside the entrance turnstiles, the police match commander, chief superintendent David Duckenfield, ordered exit gate C to be opened, leading to an influx of even more supporters to the already overcrowded central pens. The 1991 semi-final between Arsenal and Tottenham Hotspur was the first to be played at Wembley, the traditional venue for the FA Cup Final. Two years later both semi-finals were held at Wembley after the Steel City derby between Sheffield clubs Wednesday and United was switched from the original venue of Elland Road, Leeds. This was repeated in 1994, although a replay between Manchester United and Oldham Athletic was held at Maine Road, Manchester. 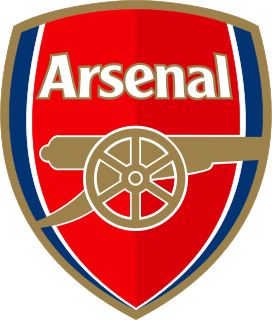 Arsenal Football Club is a professional football club based in Islington, London, England, that plays in the Premier League, the top flight of English football. It has won 13 League titles, a record 13 FA Cups, two League Cups, the League Centenary Trophy, 15 FA Community Shields, one UEFA Cup Winners' Cup, and one Inter-Cities Fairs Cup. Tottenham Hotspur Football Club, commonly referred to as Tottenham or Spurs, is a professional football club in Tottenham, London, England, that competes in the Premier League. Tottenham Hotspur Stadium has been the club's home ground since 2019, replacing their former home of White Hart Lane, which had been demolished to make way for the new stadium on the same site. Their training ground is on Hotspur Way in Bulls Cross in the London Borough of Enfield. Tottenham have played in a first (home) strip of white shirts and navy blue shorts since the 1898–99 season. The club's emblem is a cockerel standing upon a football, with a Latin motto Audere est Facere. The Steel City Derby is a local derby that takes place between Sheffield United and Sheffield Wednesday, the two professional football league teams based in the city of Sheffield, England. It is widely considered to be one of the biggest derby matches in English football. From 1995 to 1999 and from 2001 to 2004 other neutral grounds were used, though in 2000 both matches were played at the old Wembley, in its final year of operation. In 2005 both semi-finals were played at the Millennium Stadium, Cardiff. However, in 2006 the FA decided to revert to the neutral ground system, with Villa Park and Old Trafford hosting the games. The Millennium Stadium, is the national stadium of Wales. Located in Cardiff, it is the home of the Wales national rugby union team and has also held Wales national football team games. Initially built to host the 1999 Rugby World Cup, it has gone on to host many other large-scale events, such as the Tsunami Relief Cardiff concert, the Super Special Stage of Wales Rally Great Britain, the Speedway Grand Prix of Great Britain and various music concerts. It also hosted six FA Cup finals and several other high-profile football fixtures while Wembley Stadium was being redeveloped. 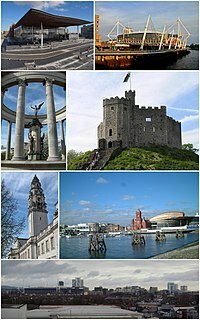 Cardiff is the capital of Wales, and its largest city. The eleventh-largest city in the United Kingdom, it is Wales's chief commercial centre, the base for most national cultural institutions and Welsh media, and the seat of the National Assembly for Wales. At the 2011 census, the unitary authority area population was estimated to be 346,090, and the wider urban area 479,000. Cardiff is a significant tourist centre and the most popular visitor destination in Wales with 21.3 million visitors in 2017. In 2011, Cardiff was ranked sixth in the world in National Geographic's alternative tourist destinations. Highfield Road in Coventry (1982 image) hosted the only semi-final third replay in 1979–80. In the past, there would be a replay if a semi-final match was drawn. If the replay was also drawn, there would be a second replay. In theory, an unlimited number of games could be played to obtain a winner. For example, in 1980 it took four games to decide the tie between Arsenal and Liverpool. This was the most games needed to settle an FA Cup semi-final, although there were several occasions when three games were played. Prior to the 1992 semi-finals, the only semi-final played under different rules to this was the rearranged 1989 semi-final between Liverpool and Nottingham Forest, for which it had been declared in advance that the game would be decided by extra time and penalties if necessary due to the Hillsborough Stadium disaster. Queen's Park chose not to contest the 1871–72 replay match with Wanderers. Between 1877–1881 only one semi-final was played due to the format of the competition leaving three teams remaining. In 1991 the FA decided that only one replay should be played (starting with the 1991–92 competition). If this game ended in a draw, extra time would be played, followed by penalty kicks if the match was still even. 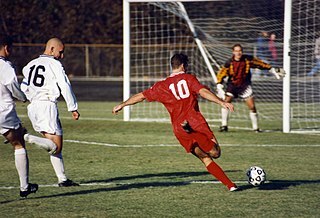 In 1999 it was decided that the semi-finals should be decided in one game, with extra time and penalties if the score was level after 90 minutes. Replays are still used in earlier rounds, however, though they were eliminated in the quarter-finals in 2016. The last FA Cup semi-final replay, in 1999, saw Manchester United take on Arsenal at Villa Park. This turned out to become one of the most memorable semi-finals of all time, with Peter Schmeichel saving a last-minute penalty from Dennis Bergkamp and a Ryan Giggs extra time goal deciding the outcome in Manchester United's favour. In 2003 this goal was voted the greatest ever in FA Cup history. Villa Park in Birmingham hosted 55 semi-final matches between 1901 and 2007, more than any other stadium. The highest attendance for an FA Cup semi-final is 88,141 for Everton's penalty win over Manchester United on 19 April 2009. It was the fourth semi-final to be played at the new Wembley Stadium. The highest winning margin was Newcastle United's 6–0 victory over Fulham in the 1908 Anfield semi-final. The highest post-war winning margin was Stoke City's 5–0 victory over Bolton Wanderers in the second 2011 semi-final on 17 April 2011. The highest-scoring match was Hull City's 5–3 victory over Sheffield United in the second 2014 semi-final. Playing the first of their 28 semi-finals, Woolwich Arsenal (in dark shirts) faced Newcastle United (in striped shirts) at the Victoria Ground, Stoke in 1906. Arsenal against Blackburn Rovers was one of the 2005 semi-finals held at the Millennium Stadium in Cardiff, taking the fixture out of England for the first time since 1885. Blackburn Rovers v Chelsea at Old Trafford in 2007: the last FA Cup semi-final before the event was moved to the new Wembley Stadium. Manchester clubs City and United have reached the FA Cup semi-final a combined 40 times. The Manchester derby has twice been a semi-final. Teams shown with an asterisk beside their name are no longer in existence. This table is updated after 2016–17 FA Cup. Semi-finals were held at Sheffield Wednesday's home ground Hillsborough for 85 years. Maine Road (1985 image), dubbed the Wembley of the North, was used for semi-finals between 1928 and 1994. In the 19th century, seventeen FA Cup semi-final matches were held at the Kennington Oval (1891 image). Bramall Lane (1965 photo) hosted 17 semi-finals from 1889 to 1938; Sheffield has been host city on 51 occasions. The original Wembley Stadium began hosting semi-finals in 1991 with the North London derby. Meadow Lane, The City Ground and Trent Bridge in 2003: the extant three of Nottingham's four FA Cup semi-final hosts. Venues that no longer exist or regularly host football matches are denoted with an asterisk. ↑ Queen's Park could not afford a second trip to London for their semi-final replay and were forced to withdraw. ↑ Queen's Park once again withdrew from the FA Cup at the semi-final stage. ↑ Match abandoned at half time due to a crush in the crowd and dark conditions. ↑ Abandoned after 6 minutes (see Hillsborough Disaster). The 1993 Football League Cup Final took place on 18 April 1993 at Wembley Stadium, and was played between Arsenal and Sheffield Wednesday. Arsenal won 2–1 in normal time, in what was the first of three Wembley finals between the two sides that season; Arsenal and Wednesday also met in the FA Cup Final of that year, the only time this has ever happened in English football. The history of the FA Cup in association football dates back to 1871–72. Aside from suspensions during the First and Second World Wars, the competition has been played every year since. The 1998–99 FA Cup was the 118th staging of the FA Cup. It was won by Manchester United, who beat Newcastle United 2–0 in the final at the old Wembley Stadium. The goals were scored by Teddy Sheringham after 11 minutes, less than two minutes after coming on as a substitute for Roy Keane, and Paul Scholes on 53 minutes. It was the second leg of a historic Treble for Manchester United; having already won the Premier League title the previous weekend, they went on to win the Champions League the following Wednesday. The 2003–04 FA Cup was the 123rd staging of England and the world's oldest football competition, the FA Cup. The competition began on 23 August 2003, with the lowest-ranked of the entrants competing in the Extra Preliminary round. In the Third Round, the clubs from the Premiership and Division One competed in the competition for the first time. The 1992–93 FA Cup was the 112th season of the FA Cup, also known as The Football Association Challenge Cup. It was won by Arsenal, who beat Sheffield Wednesday 2–1 in the replay after a 1–1 draw in the final at the old Wembley Stadium. The goals were scored by Ian Wright and Andy Linighan, who scored in the 119th minute. The 1999–2000 FA Cup was the 119th staging of the FA Cup. Both the semi-finals and final of the competition were played at Wembley Stadium for the last time before reconstruction work began. The competition culminated with the final between Chelsea and Aston Villa. The game was won by a goal from Chelsea's Roberto Di Matteo, giving them a 1–0 victory. The 1997–98 FA Cup was the 117th staging of the FA Cup. The competition was won by Arsenal with a 2–0 victory against Newcastle United at Wembley Stadium. The 1995–96 FA Cup was the 115th staging of the FA Cup. The competition was won outright by Manchester United, who won the final through a goal from Eric Cantona five minutes from the end of the game. It gave Manchester United a league and cup double after they secured their third league title in four years. It was also United's third straight FA Cup Final. The 1991–92 FA Cup was the 111th season of the world's oldest knockout football competition, The Football Association Challenge Cup, or FA Cup for short. Liverpool beat Sunderland 2–0 in the final to take their 5th FA Cup trophy. The 1986–87 FA Cup was the 106th season of the world's oldest football knockout competition, The Football Association Challenge Cup, or FA Cup for short. The competition was won by Coventry City, who beat Tottenham Hotspur 3–2, after extra-time, in the final at Wembley Stadium. It was Tottenham's only defeat in eight finals up to that point. The tournament started in August 1986, with non-league teams competing in the qualifying rounds. Clubs from the First and Second Divisions entered in the third round. The FA Cup 1982–83 was the 102nd season of the world's oldest football knockout competition, The Football Association Challenge Cup, or FA Cup for short. The competition was won by Manchester United, who drew the first final 2–2, but won the replay 4–0. The 1981–82 FA Cup was the 101st season of the world's oldest football knockout competition, The Football Association Challenge Cup, or FA Cup for short. The 1973–74 FA Cup was the 93rd season of the world's oldest football cup competition, the Football Association Challenge Cup, commonly known as the FA Cup. Liverpool won the competition for only the second time, beating Newcastle United 3–0 in the final at Wembley, London. The 1970–71 FA Cup was the 90th season of the world's oldest football cup competition, the Football Association Challenge Cup, commonly known as the FA Cup. First Division champions Arsenal won the competition for the fourth time, beating Liverpool 2–1 in the final at Wembley. In doing so, Arsenal were the fourth team to complete a double of League and Cup victories, following Preston North End, Aston Villa and Tottenham Hotspur. The 1966–67 FA Cup was the 86th season of the world's oldest football cup competition, the Football Association Challenge Cup, commonly known as the FA Cup. Tottenham Hotspur won the competition for the fifth time, beating Chelsea 2–1 in the first all-London final. The game was played at Wembley. The 1961–62 FA Cup was the 81st staging of the world's oldest football cup competition, the Football Association Challenge Cup, commonly known as the FA Cup. Tottenham Hotspur won the competition for the fourth time, beating Burnley 3–1 in the final at Wembley. In doing so, they became the first team to retain the FA Cup since Newcastle United's victory in 1952, and the fourth team ever to do so. The 1970–71 season was Stoke City's 64th season in the Football League and the 40th in the First Division. ↑ "New Wembley to host semis". BBC News. 3 January 2003. Retrieved 25 February 2011. ↑ "Football Supporters Hail FA Cup Semi-final Decision" (Press release). Football Supporters Federation. 18 November 2005. Archived from the original on 8 February 2007. Retrieved 25 February 2011. ↑ "Moyes unhappy with Wembley semi". BBC News. 9 March 2009. Retrieved 25 February 2011. ↑ Hughes, Rob (6 April 2008). "Nwanko Kanu repays Harry Redknapp's faith in one moment". London: TimesOnline . Retrieved 10 May 2008.